New Zealand’s North Island is divided by a chain of volcanoes running north to south, with the exception of one: Mount Taranaki. According to Maori legend, Taranaki used to reside in the center of the country with the rest of the volcanoes, but after a feud with his brother, the great Mount Ruapehu, over the fair maiden Mount Pihanga, he was banished. Fleeing toward the west, he gouged the Whanganui River valley. Today, he sits alone on the corner of the island, usually clouded by tears for his lost love. Ten years ago, I visited this lonesome volcano with my father. Unfortunately, Taranaki was having one of his sad moments at that time. We spent four days tramping around the mountain in the rain and never saw its face. 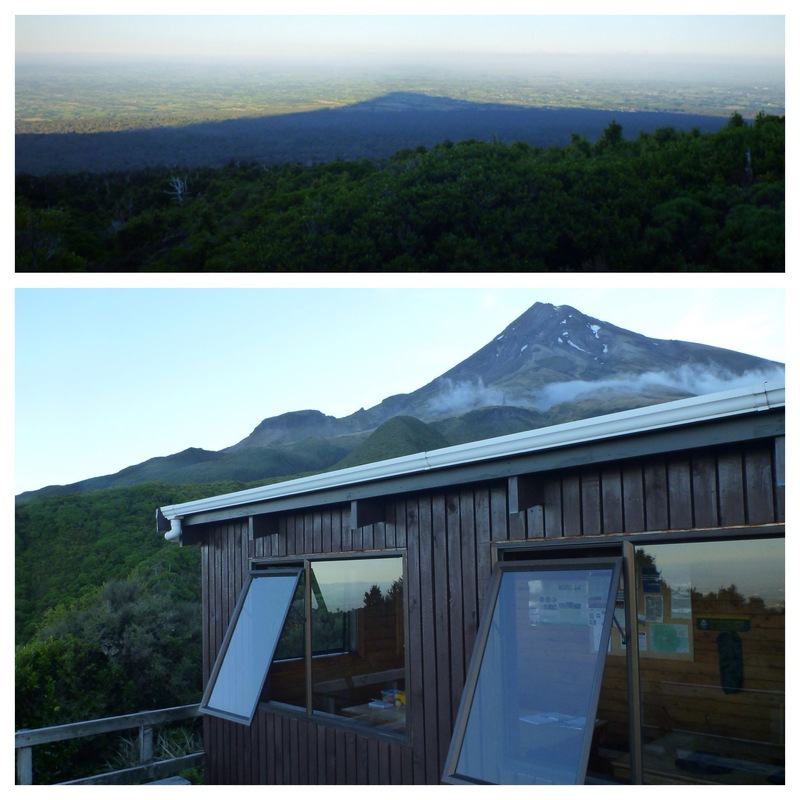 So when K and I made the decision to travel back to NZ, a do-over with Mount Taranaki was top of my list. 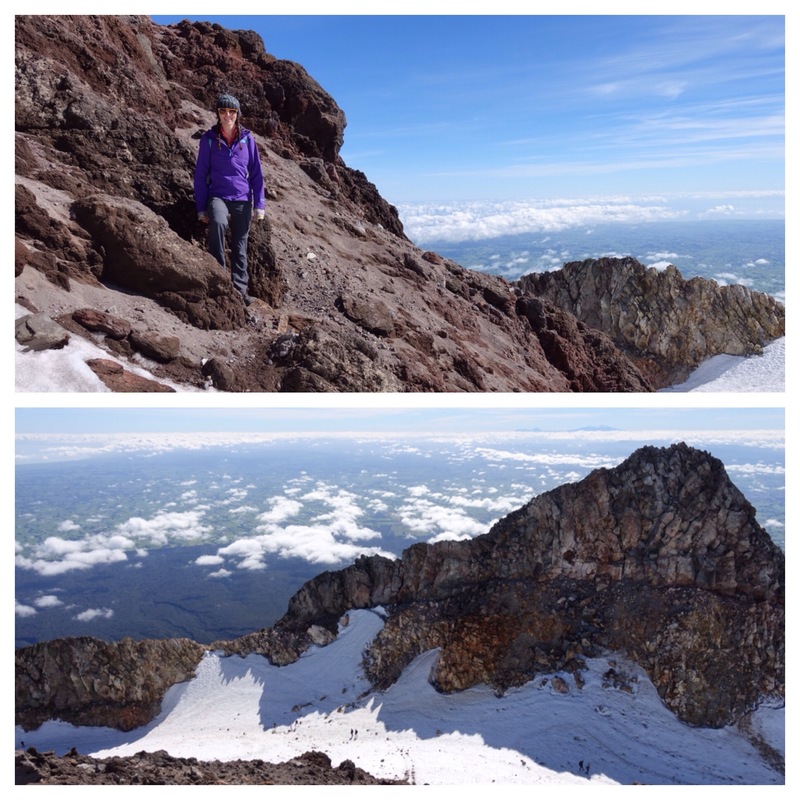 Instead of taking four days to circumnavigate this slumbering volcano, K and I took a chance on the weather with a one-nighter and a day hike summit expedition. Luckily, Taranaki was feeling bold the day we arrived–showing off his brilliance to the distant lady Pihanga. 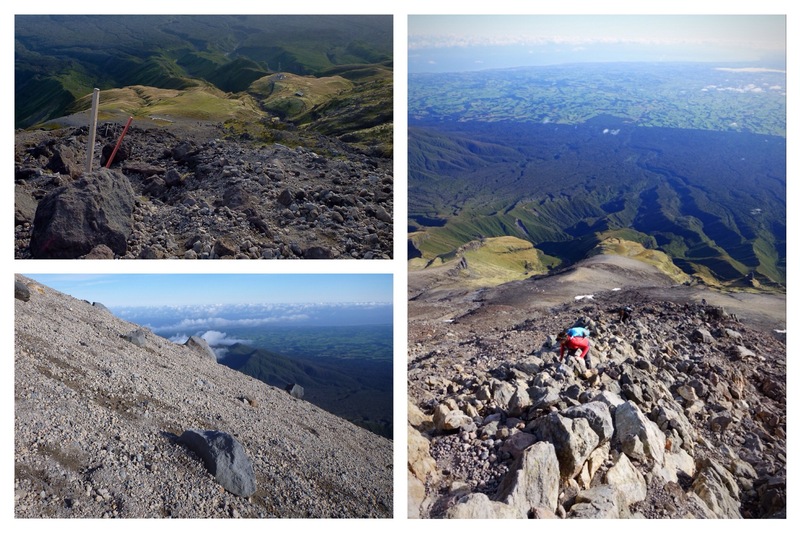 With clear views, we walked 90 minutes up to Maketewa Hut in preparation for a summit hike to Taranaki’s 8,620-foot peak the next day. We left the hut at sunrise to start our 3-mile trek to the top. In the cool morning air, we followed the steep road (aptly named The Puffer) to a staircase which dropped us at the edge of a scree slope. Then came the rocky ledge. 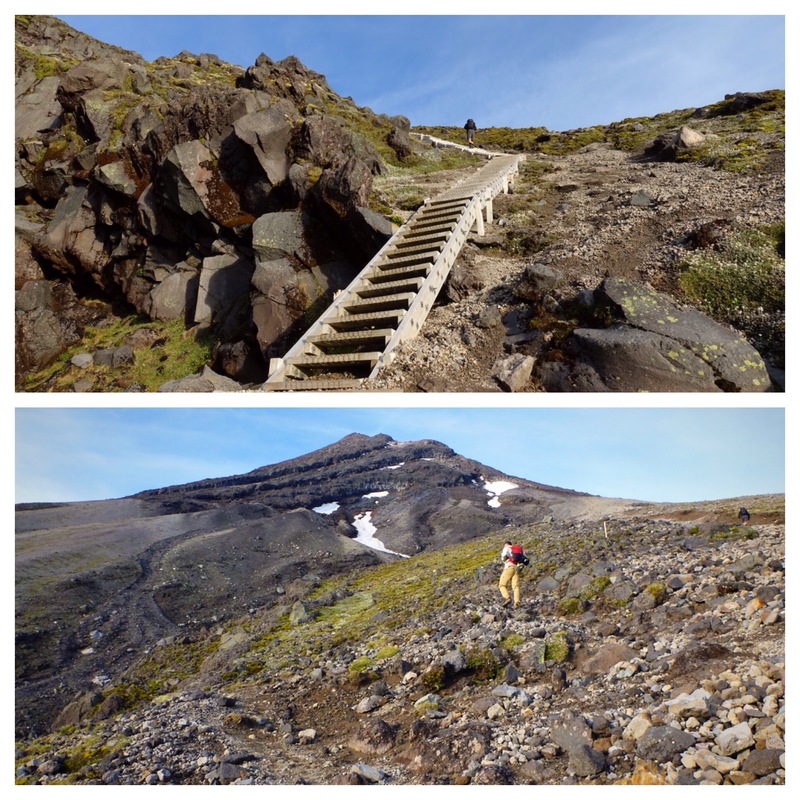 I climbed hand over foot until finally reaching the snow field tucked between Taranaki’s twin peaks–4,500 feet of elevation gain from Maketewa Hut. Although gale winds of up to 70 kph had been forecasted, the weather held steady and we easily found shelter on the rocky peak to keep us warm and enjoy a 9 o’clock lunch. 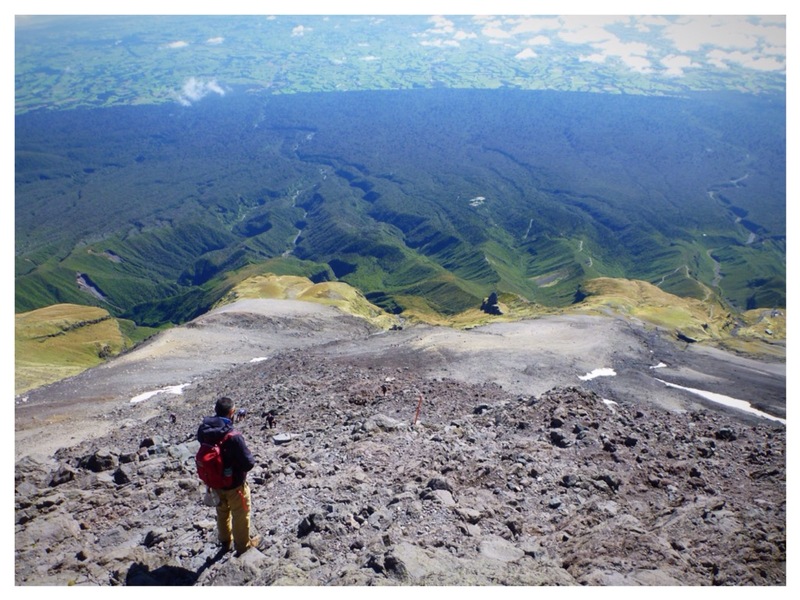 From the summit, we could see all the way to the volcanoes of Tongariro National Park. Most interesting, however, is the perfectly circular boundary of Egmont National Park. 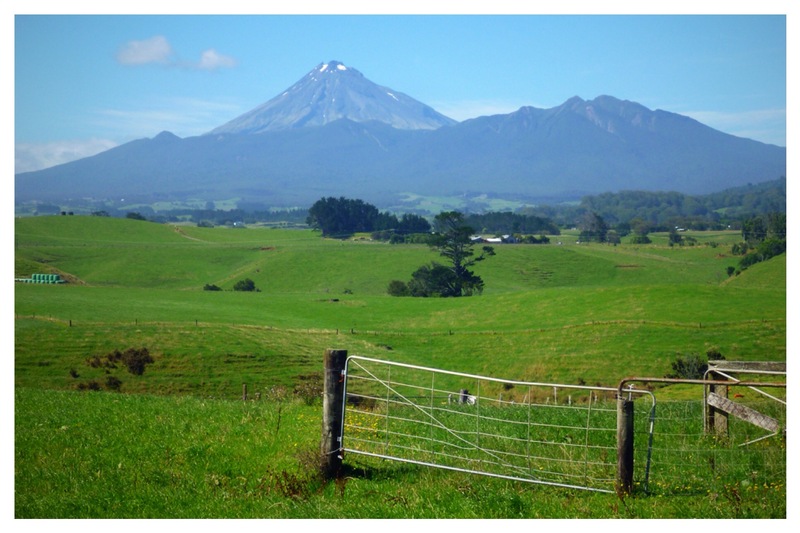 It looks like someone dropped a protractor on Taranaki’s crown then swung it around through the forest before plowing all the adjacent land into pasture. 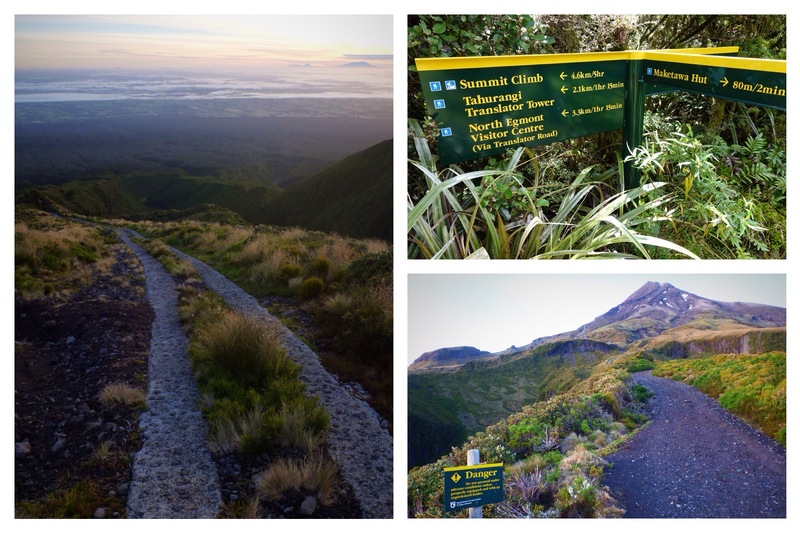 By far, this has been the most exhilarating day hike on the North Island. I wish everyone could experience the sensation of standing on top of a volcano. 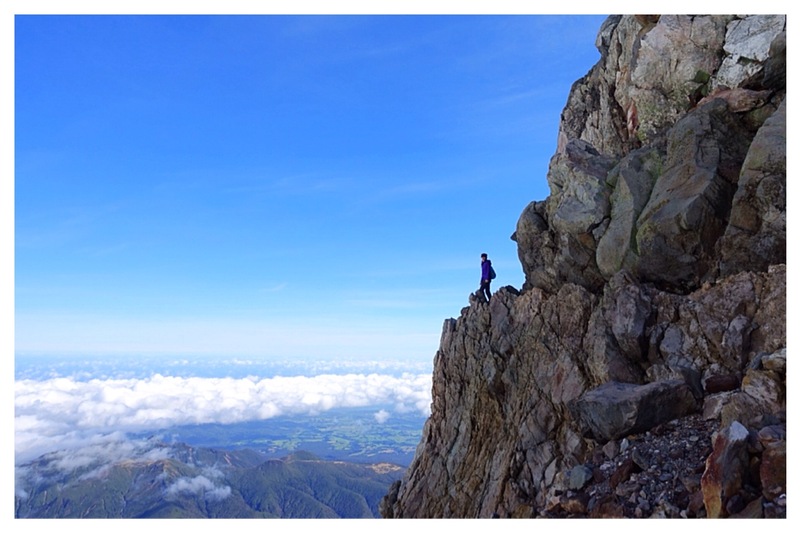 Looking out over Taranaki was the most triumphant I’ve felt in years.